On the Cover: The International Space Station flew across the face of the Moon over NASA’s Kennedy Space Center in Florida approximately 15 minutes before the launch of Space Shuttle Discovery on the STS-131 mission. Image Credit: NASA Photo courtesy of Fernando Echeverria. 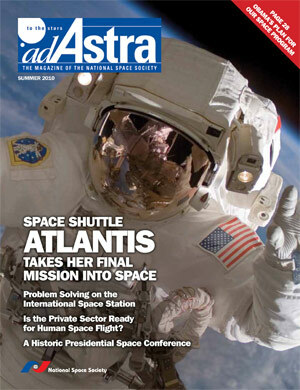 NSS applauds the President’s commitment to the mission of NASA and the role of space in providing for the future. Atlantis takes her final historic flight. International problem solving on the ISS. The President defends his budget. 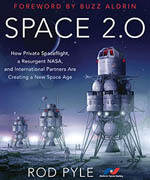 Space tourism efforts are underway. 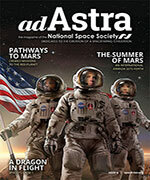 IS THE PRIVATE SECTOR READY FOR HUMAN SPACEFLIGHT? Student innovators from the Pete Conrad Spirit of Innovation Awards.